As the unprecedented global warming is under way, the glacier retreat is getting more and more serious. In the inland arid area of Northwest China, due to very scarce precipitation, where there is water, there are oases. And the glacier melt water amounts to 22 % of the total direct supply of the inland river water and is of crucial importance to the survival and development of the oases. 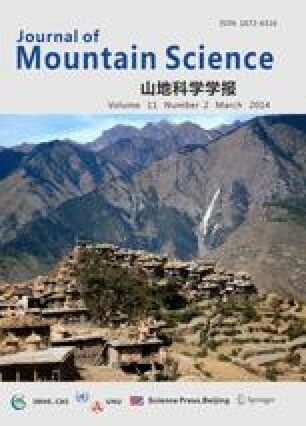 In this paper, using both the observed data and the previous research achievements of the glaciers in the inland valley of Northwest China where the oasis depending on the glacier is the only location suitable for human living, the authors describe the glacier retreat trend over the past half century, focusing on discussing the possible impact of the glacier retreat on the melt water runoff that is almost the only water resource efficient to nourish the oases. The authors find that even with increasing amount of water from the glacier with global warming, the water shortage is getting more and more serious and the environment is under a degrading way due to the accelerating economical development. The water shortage is bound to be more serious if the glacier retreat keeps on, especially after the glacier melt water is over its top for the degraded glacier scale. So suggestions are stressed in the end that a new water-saving pattern should be adopted in the area for a sustainable development due to the warming-up induced continuous glacier retreat.